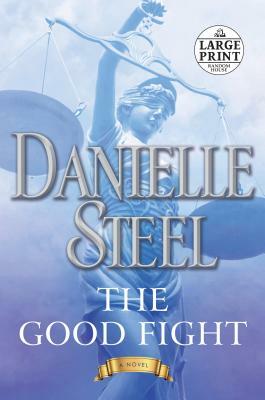 NEW YORK TIMES BESTSELLER • Against the electrifying backdrop of the 1960s, Danielle Steel unveils the gripping chronicle of a young woman discovering a passion for justice and of the unsung heroes she encounters on her quest to fight the good fight. The daughter and granddaughter of prominent Manhattan lawyers, Meredith McKenzie is destined for the best of everything: top schools, elite social circles, the perfect marriage. Spending her childhood in Germany as her father prosecutes Nazi war criminals at the Nuremberg trials, Meredith soaks up the conflict between good and evil as it plays out in real time. When her family returns to the United States, she begins blazing her own trail, swimming against the tides, spurred on by her freethinking liberal grandfather, determined to become a lawyer despite her traditional, conservative father’s objections. She rebels against her parents’ expectations for her debutante ball and other conventions. She forges a lifelong friendship with a young German Jewish woman whose family died in the concentration camps. And while her grandfather rises to the Supreme Court, Meredith enlists in the most pressing causes of her time, fighting for civil rights and an end to the Vietnam War. From the bright morning of JFK’s inauguration, through the tumultuous years that follow as America hurtles toward the twin assassinations of Martin Luther King Jr. and Bobby Kennedy, Meredith joins the vanguard of a new generation of women, breaking boundaries socially, politically, and professionally. But when the violence of the era strikes too close to home, her once tightly knit family must survive a devastating loss and rethink their own values and traditions in light of the times. Danielle Steel has been hailed as one of the world’s most popular authors, with over 650 million copies of her novels in print. Her many international bestsellers include The Cast, Accidental Heroes, Fall from Grace, Past Perfect, Fairytale, The Right Time, The Duchess, and other highly acclaimed novels. She is also the author of His Bright Light, the story of her son Nick Traina’s life and death; A Gift of Hope, a memoir of her work with the homeless; Pure Joy, about the dogs she and her family have loved; and the children’s books Pretty Minnie in Paris and Pretty Minnie in Hollywood.